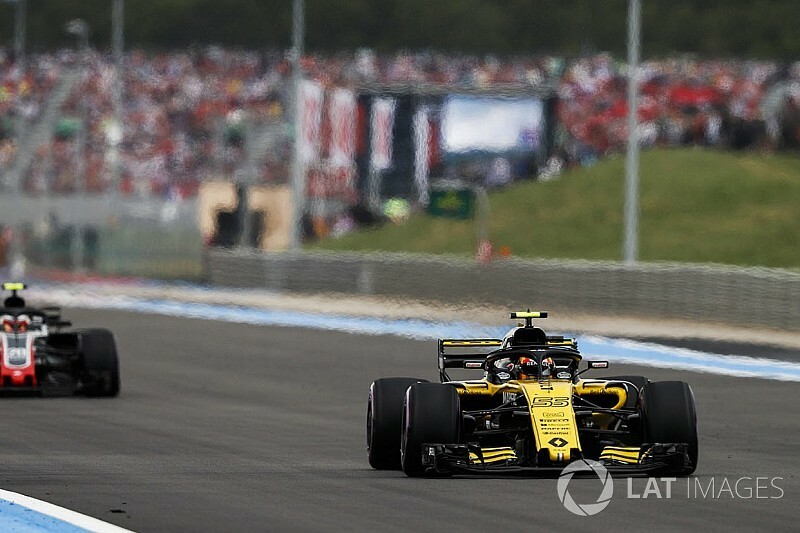 Carlos Sainz believes the virtual safety car spell at the end of the French Grand Prix rescued a points finish for him after his Renault Formula 1 car's MGU-K failed. The Spaniard was on course to finish sixth at Paul Ricard, having run as high as third early on after avoiding the incidents in the opening few corners. But he fell to eighth after complaining of "no power" on the radio, and only avoided slipping further back because the next few laps were completed under virtual safety car conditions following Lance Stroll's tyre blowout at Signes. While the race briefly went back to green flag conditions just before the finish, Sainz was able to hang on without losing more ground, despite missing what he believes was 160 horsepower. When asked about the virtual safety car, Sainz told TV crews: "I owe that… it saved us the points finish. "It's very difficult to digest, this P8. It's a good result, but when you are the whole race running P6, easily, comfortably, then suddenly five laps to the end this happens, I feel bad for the team, and for myself. "It's a shame, because it was the perfect weekend. A sixth place after a perfect qualy, a perfect start, very good pace all race. "Then finding yourself with this problem, knowing how hard it is to score points, is a shame. "It's a shame for the team as well because we deserved this sixth place at home." Sainz's MGU-K was on its final race, so was due to be replaced by Renault for the next grand prix in Austria anyway. The Red Bull loanee enjoyed his brief spell among the leaders, even if it was inevitable he would fall back. "It happened last time in Barcelona 2016 that I got a really good start and got into the podium places," he said. "It was a while since I was last in those places. I enjoyed it. It didn't last very long, but I tried my best."